Like many cosmetic dentists, Laurence C. Breiterman, D.M.D. understands how bad it can be to have missing teeth. Not only can it ruin a beautiful smile, it can affect the ability to eat certain foods and to speak clearly. While there are a number of different options available, many dentists favor dental implants as a long-term option. Implants are durable, long-lasting and function just like natural teeth. 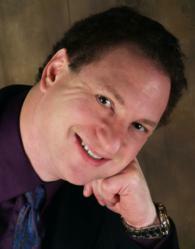 Dr. Laurence C. Breiterman is replacing missing teeth with dental implants. Laurence C. Breiterman, D.M.D., M.A.G.D., with Advanced Dental Techniques, uses dental implant surgery to provide a long-lasting solution to the problem of missing teeth. When teeth are missing due to gum disease, accident, or tooth decay, the bone begins to erode. Implants act like natural teeth to stop this erosion and stimulate the jaw, because they are placed in the jaw through surgery and allowed to fuse with the existing jawbone. This provides strength and durability to the new tooth. As a dentist who cares about patients, Dr. Breiterman likes the idea of long-term solutions. When teeth are lost, the bone begins the erosion process. If enough time passes, bone graft surgery may be necessary before an implant can be used so that there is enough bone for the titanium implant to fuse with. Once installed, the implant strengthens the jawbone and helps to deter bone loss. This can reduce the likelihood of the face appearing to be sunken in, which happens when bone loss is allowed to continue. Because dental implants are surgically placed into the jawbone by Dr. Breiterman, they cannot slip or move. Unlike removable devices, this provides the permanence necessary to help restore the bite correctly. Missing and misaligned can reduce the ability to eat certain foods and can also impact speech. With implants, the bite is determined and corrected when the implants are placed so that the implants function properly in the mouth. There are three parts to the implant; the crown, the abutment and the actual implant. These parts function together in the place of a natural tooth. Not everyone is a good candidate for dental implant surgery, and an individual consultation is necessary to make this determination. To learn more about implants, visit newjerseygumsurgery.com.